African champions Zambia slipped out of the top five ranked teams but remained among the top teams overall in the Fifa/Coca-Cola Ranking published on Wednesday. The Chipolopolo who have been on steady decline since they were placed fourth in Africa after lifting the Africa Cup of Nations early this year are now 43rd in global rankings and 6th in Africa. 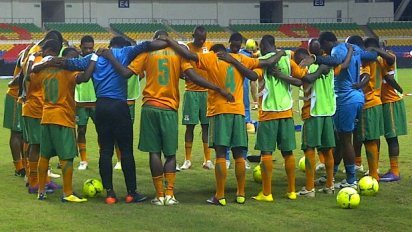 The teams ranked ahead of the Chipolopolo are Ivory Coast who retained first position in Africa but slipped to 16th overall and they are followed by Zambia’s Group D opponents Ghana who fell from 22nd to 25th. Others are Algeria, Libya and Mali. Sudan who defeated Zambia 2-0 in Group D of Fifa World Cup qualifiers rose to 101st from 113th while Lesotho fell to the 170th position from the previous 163rd.